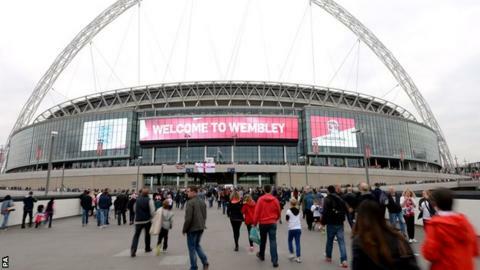 England might not be able play home games away from Wembley for "eight to nine years" until the Football Association is "debt free", according to Club England chief Adrian Bevington. England play Norway at Wembley on Wednesday with a low turnout anticipated after the side's poor World Cup, which saw them go out at the group stage without winning a game. A crowd of 35,000-40,000 is expected - the lowest crowd for an international fixture at the new 90,000-capacity Wembley, which is owned by the FA. The previous lowest crowd for an international at the stadium was the 48,876 for a friendly against Sweden in 2011. Bevington acknowledged there would be a "lot of work to regain support and rebuild excitement with England". "[We] have to get pricing right [and] win games too," he added. "England will host likes of Germany, Spain, France, Holland and Italy over next few years in friendlies. Details in next few months."